A third generation Bhutto has launched his social-liberal platform at the well-attended golden jubilee celebrations of the Pakistan People’s Party, which is undoubtedly inseparable from the story of the successes and failures of the long democratic struggle of the people of Pakistan. The party is not over yet, despite an unholy alliance between successive military dictators and religious extremism. The PPP’s liberal-democratic agenda makes it the other pole of a historic ideological divide amid the overall rise of centre-right to extremist religious and fascist parties. Even though the neo-liberals married to the mantra of the free market economy may find it a vestige of the socialist past, despite the phenomenal rise of socialist China and continuous failures of the neo-classical economic theory of trickle-down illusion, young and idealistic Bilawal aims at a ‘social democratic’ Pakistan – which he is yet to define. The PPP was founded in November 1967, a few months prior to the anti-Ayub popular upsurge for adult franchise, parliamentary and federal democracy and social rights. A dynamic Zulfikar Ali Bhutto captured the leadership of a progressive uprising against Field Marshal Ayub Khan’s unjust authoritarian model. Wider regional and social stratification in what was then a United Pakistan gave birth to Bengali nationalism in East Pakistan and Bhutto’s populism in West Pakistan. An authoritarian state – both under Ayub Khan and Yahya Khan – failed to reconcile with the aspirations of the people of both wings of the country. This then resulted in the breakup of Pakistan. It was Bhutto who rebuilt a new republican Pakistan after the defeat of authoritarian forces. Bhutto’s was a liberal-reformist regime with a greater role of the state in social and economic development. His greatest folly was his appeasement of rightwing religious forces, coupled with authoritarian tactics against left-wing and dissenting elements. Consequently, right-wing social reaction – with the backing of a reactionary military clique led by General Ziaul Haq – led to the overthrow of Bhutto’s popular government and his judicial murder. History pushed a tragedy-stricken Pinky (Benazir Bhutto) into a fierce phase of leading a democratic resistance to a reactionary and extremely repressive military regime. From 1977 to 1988, BB passed through many struggles for the restoration of democracy. Hundreds of thousands of activists suffered torture, prison and exile, and hundreds sacrificed their lives. By forming the Movement for the Restoration of Democracy (MRD), Begum Nusrat Bhutto showed the way to courageously defy military dictatorship till the historic return of BB in 1986. BB stood at the highest democratic pedestals of moral legitimacy and unprecedented popularity to fill the void that had been created with the execution of ZAB. After dispensing with some archaic ‘uncles’, she emerged as an authentic leader in her own right. Sensing major changes on the international horizon and learning from the mistakes of her father, BB redefined the PPP’s platform in terms of public-private partnership and combined humanist and liberal values with a focus on the social rights of the people. Being a consistent democrat, she also moved away from ZAB’s aggressive nationalist security paradigm which was not reconcilable with the democratic project and civilian supremacy. 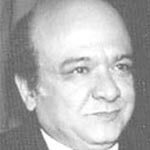 The failure of the short regimes of BB and Nawaz Sharif, both at loggerheads with each other, in the decade of the 1990s allowed a post-Zia Baig-Gul model to squeeze the civilian space. That subsequently paved the way for the commando general’s rearguard ambush. If the Soviet intervention in Afghanistan had prolonged the jihadi rule of General Zia, 9/11 created unprecedented fortunes for General Musharraf whose phoney project of ‘enlightened moderation’ failed to reverse the suicidal course that Gen Zia had set us on. Learning from their mistakes, both BB and Sharif showed farsightedness in conceiving the Charter of Democracy to ensure civilian supremacy for the consolidation of democracy. BB also managed to outmanoeuvre Musharraf into shedding his uniform, and facilitated the return of Sharif and persuaded him to contest the 2013 elections. Most probably, this breach of quid pro quo with Musharraf and her emergence as a leader who challenged extremism and terrorism resulted in her murder. The story of the House of Bhuttos’ courage and defiance and their populist message for the downtrodden keeps their memory alive in the hearts of millions, despite the PPP’s glaring failures both pre and post Shaheed Benazir Bhutto’s time. The void created with the brutal killing of an indomitable BB was hard to fill. In her martyrdom, the people of Pakistan were left without a centre-left alternative. A pragmatic compromise by virtue of Asif Ali Zardari’s paradigm of ‘reconciliation’ bartered BB’s social-liberalism with capitulation on the necessary requisites of a ‘democratic transition’. This resulted in the loss of the PPP’s raison d’être – the party of people’s politics – even if it achieved the distinction of completing a full term in office at the cost of its wider popular appeal. Despite the poor performance of the Gilani and Raja governments, credit goes to Zardari for strengthening parliament and for the 18th Amendment which has strengthened federalism, He should also be credited to complete the first tenure of democratic transition, despite the machinations of Kayani-Pasha duo and loss of PPP’s mass appeal among the downtrodden. As compared to BB who inherited ZAB’s epic and struggled hard make her own imprint, Bilawal carries the mass affection for BB while being handicapped by the bad Gilani-Raja legacy and continuing bad governance of unchallenged Sindhi feudal elite, despite CM Murad Ali Shah’s commendable efforts. As Zardar is not well and inclined to give way to his son, this is the time for Bilawal to make his new launching really meaningful by disposing of PPP-Parliamentarian and the fossilised feudal leadership. In his marvellous address to the golden jubilee gathering, Bilawal has raised the banner of BB’s clarion call to stand against violent religious extremism and separating religion from politics and state. 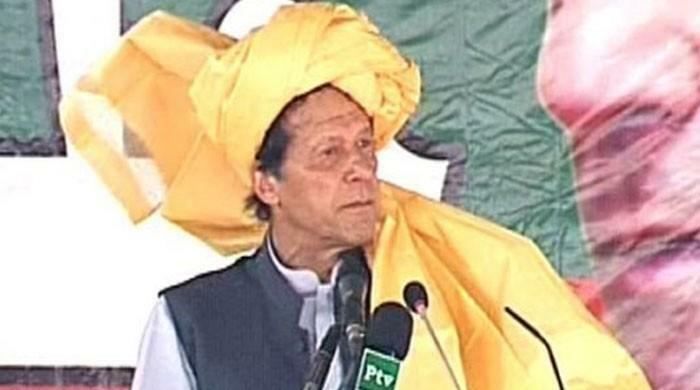 It is encouraging that he is the only leader who has condemned the Faizabad dharna by the bigots and condemned the surrender of the writ of the state while pleading for a tolerant and inclusive state. He vocally defended fundamental human and civil rights, women’s and minorities’ rights in particular. However, to revive the PPP’s now dormant popular appeal among the poor masses, Bilawal will have to come up with a clear-socio-economic programme, not just slogans. For that to happen, he must distance himself from the corrupt and clean up his party. Given the centre-left-vacuum and predominance of a range of right-wing politics, he is trying to formulate a progressive and secular alternative that requires all-sided constitutional, political, institutional, educational and social reforms. The current neoliberal economic model (concentration and accumulation of wealth in a few hands) and an exclusionary elitist development model at the cost of the pauperisation of the masses and marginalisation of peripheral regions should be replaced with an inclusive and sustainable people-centred economic growth model. An authoritarian, centralised nation-building model in the name of Islam, with an alien history, needs to be changed by going back to our Indus-basin civilisation and cultural roots. The PPP must remove the hurdles in the way of devolution of power to the grassroots level and peoples’ empowerment if it really believes that power grows from the people and not from guns. Bilawal’s social democratic agenda should bring an end to the current political economy of resource generation (taxes and other revenues) and allocation of resources that favour the privileged while ignoring peoples’ needs of nutrition, education, health and quality of life. Eradication of poverty, illiteracy, hunger and endemic diseases and the development of human resources, much needed physical infrastructures, protection of the environment, conservation of resources and population planning are to be given top priority. A coherent strategy is required to bring an end to the exploitation of the rural and urban poor, peasants, working and professional classes at the hands of parasitic rent-seeking capitalism and feudalism. Promotion of fine arts, performing arts, indigenous cultures and languages, improvement of humanities and curriculum must also be a priority for a social-liberal platform. The transformation of Pakistan from a national-security state into a social welfare state with an inclusive social-liberal democratic polity will be the principal task before Bilawal Bhutto Zardari. But will he be a real game-changer or yet another Rahul Gandhi? One wishes him luck in his pursuits. right-wing social reaction – with the backing of a reactionary military clique led by General Ziaul Haq – led to the overthrow of Bhutto’s popular government and his judicial murder.